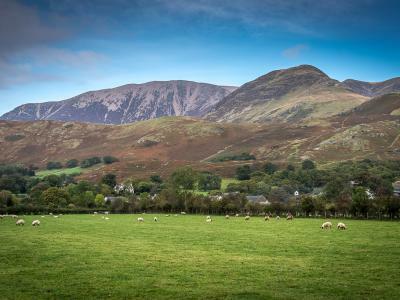 The largest national park in England, with over two hundred fell tops, covering 2292 square kilometres and twenty six miles of coastline and estuaries...it has to be The Lake District. Discover all it has to offer with DisabledHolidays.com! “Time is intended to be spent, not saved.” - Arthur Wainwright. And what better place to spend a weekend, a week or longer than in the gorgeous Lakes? Your hopes may rise on the Grasmere, you may thrill at the prospect of exploring Ullswater, or unwinding by Windermere, there’s just so much to see and do. Why not head to Bowness and go looking for the mysterious Tizzie Whizie? First ‘discovered’ in 1900, the Tizzie Whizie is said to have the body of a hedgehog, the tail of a squirrel and the wings of a bee! Or, if you’re thinking of visiting the Lakes in November and have a reputation for telling tall tales, go down to The Bridge Inn in Santon Bridge and enter the World’s Biggest Liar competition. Amongst the fells and thwaites, lakes and tarns are opportunities to go on guided walks, boating excursions or literary visits. There are pubs and inns serving fine food by roaring fires, craft shops and galleries, aquariums and animal sanctuaries. And with regard to where to stay we have cosy accessible holiday cottages with wood burning stoves, luxury and boutique hotels, friendly bed and breakfasts and caravanning sites - you’re spoilt for choice! Wherever you choose to go and no matter where you want to stay, we can assist you with helping to plan your perfect accessible Lake District break. 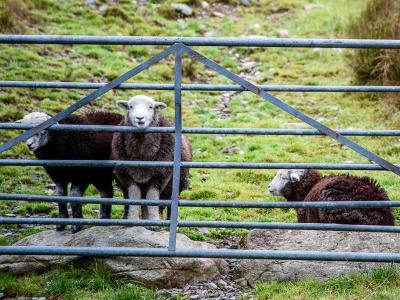 What’s available with our disabled holidays in the Lake District? Spacious and well-presented, this charming, detached holiday bungalow stands in a delightful setting with views across open farmland. Furnished to a very good standard with thoughtful and welcoming touches. Commanding one of the most spectacular views towards Carrock Fell, Blencathra and Bowscale Fell. Perfect for getting away from the hustle and bustle of modern life, the Lodges sit on the edge of Greystoke Forest just outside the Lake District. Located on a working farm, this accessible cottage enjoys private patios and panoramic views of Lakeland. The Hotel is situated in a premier position for a wide variety of activities. Many of the rooms have spectacular views over Lake Windermere and the Lake’s edge is only minutes away. A warm welcome awaits all who visit, where comfort cleanliness and personal attention are assured. Complimentary tea/coffee and homemade biscuits are awaiting your arrival. This charming pair of holiday cottages stand adjacent to the owners’ home and provide characterful accommodation. This holiday park offers a getaway into the poetic beauty of the Lake District only 30 minutes away from Lake Windermere The caravan has wheelchair access with ramps, wide sliding doors, converted WC/Shower Room and trapeze lift handles. Other standards of caravan are available for hire, please enquire for further details. 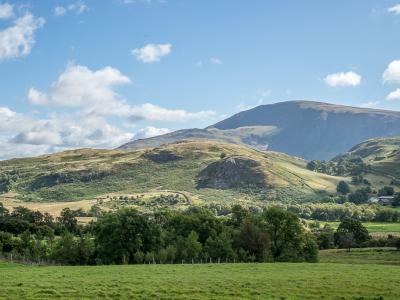 A wonderful barn conversion perfectly situated for enjoying the beautiful sandy beaches on the west coast and exploring the Lake District National Park. A splendid Victorian lodge great for families or groups of friends to get together, with a cosy open fire and two-acre grounds to explore. The Hotel is located in the Lake District on the shore of Lake Windermere. Water sports are available as well as gym and spa facilities. The Hotel also boasts a luxurious beauty spa with sauna, steam room, Roman baths, Jacuzzi and a leisure club with pool, gym and fitness classes. The hotel also has a children's club.